Novak Djokovic during his win over John Millman. 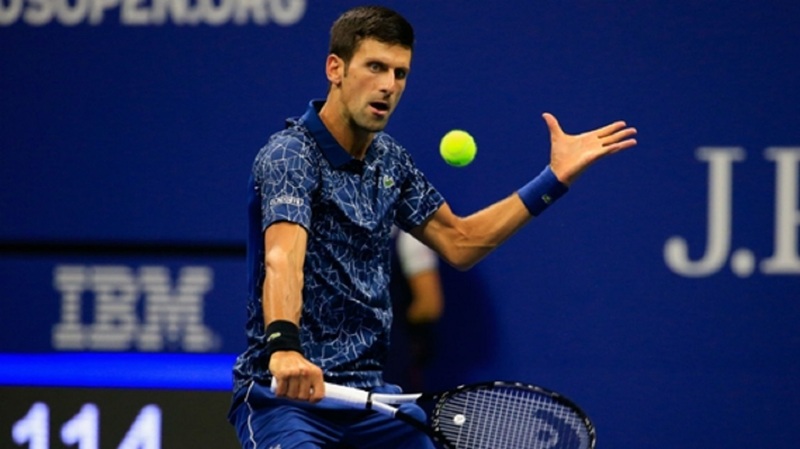 Two-time champion Novak Djokovic battled past a fired-up John Millman on Wednesday to complete the line-up for the men's semi-finals at the US Open. Arthur Ashe Stadium had played host to a series of epic contests since Djokovic's fourth-round victory over Joao Sousa on Monday afternoon, with Millman sensationally eliminating a hot and bothered Roger Federer before Rafael Nadal and Kei Nishikori each progressed in gruelling five-setters to join Juan Martin del Potro in the last four. Djokovic ensured there was a somewhat more routine feel to proceedings on this occasion, although Millman certainly made the 13-time grand slam champion work hard for a 6-3 6-4 6-4 victory that took two hours, 48 minutes on another humid New York night. 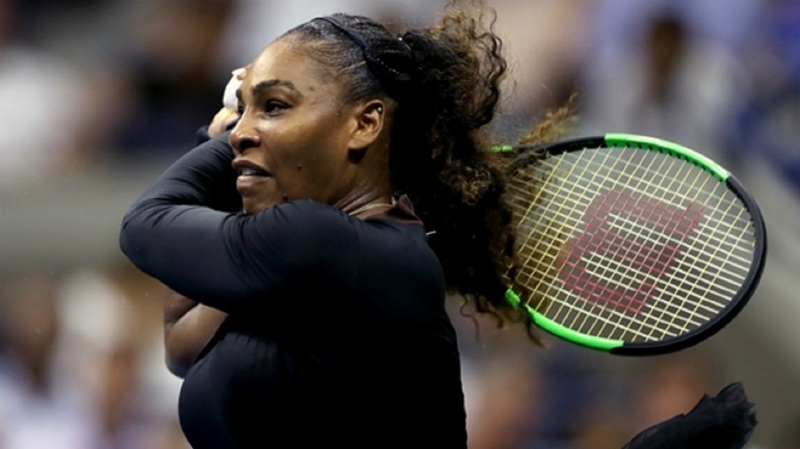 Rousing the crowd at every opportunity, the gutsy Australian clearly relished another evening in the spotlight at Flushing Meadows following his remarkable defeat of Federer and endeared himself to the spectators with a passionate showing in his first slam quarter-final. 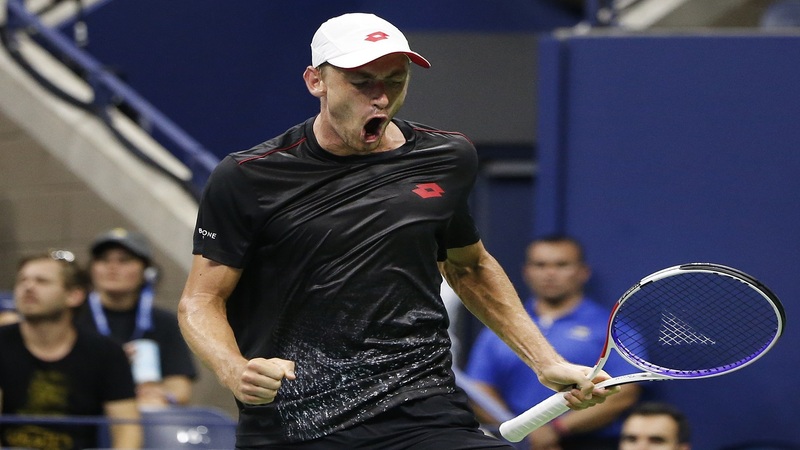 Millman again produced a number of highlight-reel moments, but was ultimately second best as Djokovic maintained his perfect record in US Open quarter-finals. The Serbian is through to an 11th last-four tie at the tournament – a tally topped only by Jimmy Connors (14) – and will face Nishikori, who beat him when the pair met in the semis four years ago. Djokovic bossed the opening exchanges, yet Millman was soon reprising his heroics of two nights earlier and making life increasingly difficult for his illustrious rival. It took Djokovic exactly an hour to wrap up a thoroughly entertaining opener packed with absorbing baseline rallies, before bizarre scenes followed early in set two. Djokovic, looking uncomfortable in the heat, seemed to demand something from his box in animated fashion during a change of ends. A prolonged break then followed one game later – Millman given permission to change his outift as he was sweating heavily enough to leave moisture on the court – Djokovic appeared to receive some nasal spray during the stoppage. 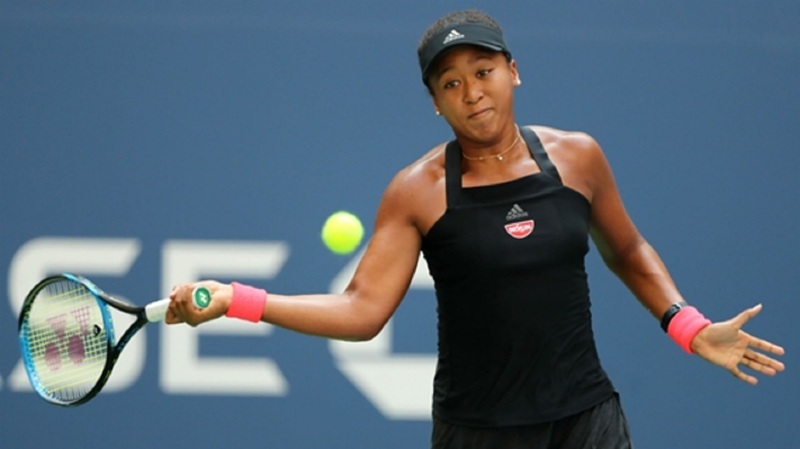 Either side of the unusual interlude, Millman showed immense character to save seven break points, having successfully staved off five out of six in the first set. However, the Australian finally cracked as he double-faulted to fall 5-4 behind, enabling his opponent to move closer to the winning line. Millman again dug deep in the third, recovering a break of serve in a game that saw Djokovic receive time violations in successive points, but the sixth seed soon got back on track and wrapped up the match with a love hold.